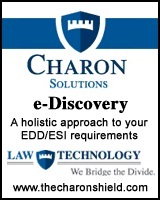 You have a complex management, technological or legal problem. You need an independent observer and auditor who can step in, get past the politics, personalities and gridlock, assess the situation clearly and concisely, make creative and practical recommendations - then implement those recommendations efficiently, on time and on budget. Charon Solutions is the answer.